three shots as shown below. You can then choose the best exposure. 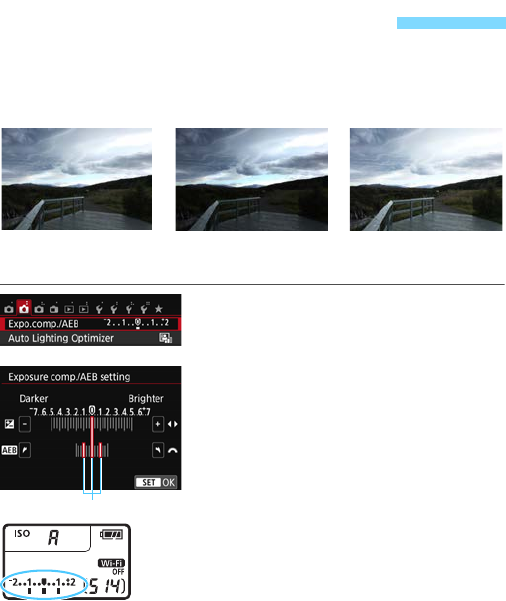 This is called AEB (Auto Exposure Bracketing).  Press <0> to set it. be displayed on the LCD panel.